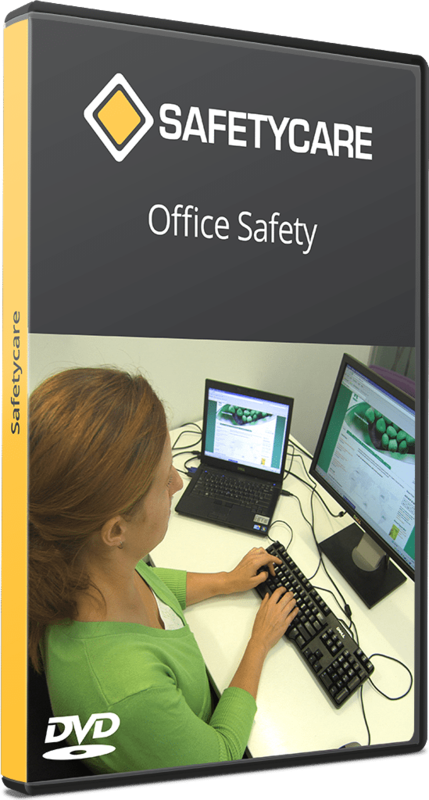 This program has been produced to inform and educate on the safety issues that exist in the office environment. It looks at the common and often overlooked hazards that could exist in an average office, and how these hazards can be recognized and controlled to reduce the risks to individuals working in offices. An understanding that although the typical office doesn’t contain the obvious life-threatening hazards of some work environments, the hazards that do exist in the office can nonetheless cause real damage. An awareness of the different kinds of hazard that exist in the office, such as slip, trip and fall hazards, manual handling hazards, fire hazards and electrical hazards. An understanding of the principles behind workstation ergonomics, and how these principles can be used to avoid injuries and protect health. Knowledge of the correct steps to be taken to avoid accidents and injuries in the office environment, such as good housekeeping, correct lifting and carrying, safe use of electricity, and fire prevention and fire fighting methods. A heightened awareness of the issue of workplace safety when applied specifically to the office situation. It’s easy to consider the office a perfectly safe work environment, and forget about the hazards that can exist. Just because you work in an office, it doesn’t mean you shouldn’t be concerned for your own health and safety, and that of your colleagues.